Why is Instagram so successful? Instagram is more than just your ordinary social media platform. When Instagram was first launched in 2010 it amassed over one million users in just two months. After just one year, it had 10 million active users. As of 2017, the app has over 800 million monthly active users worldwide. I’m sure you’ve heard of Instagram but if not- Instagram is a photo sharing app, that allows users to share images, video and live video. The app also enables users to edit images and utilise hashtags. As Instagram has grown in popularity in the last 8 years ‘Instagrammers’ have managed to create a career out of posting images. Instagrammers generally fit into the categories of fashion, beauty, fitness, food and body positivity. It’s reported that some of the biggest accounts can earn thousands just from posting one post. This has become not just a way for people to create a career, but a way for brands to advertise their products. 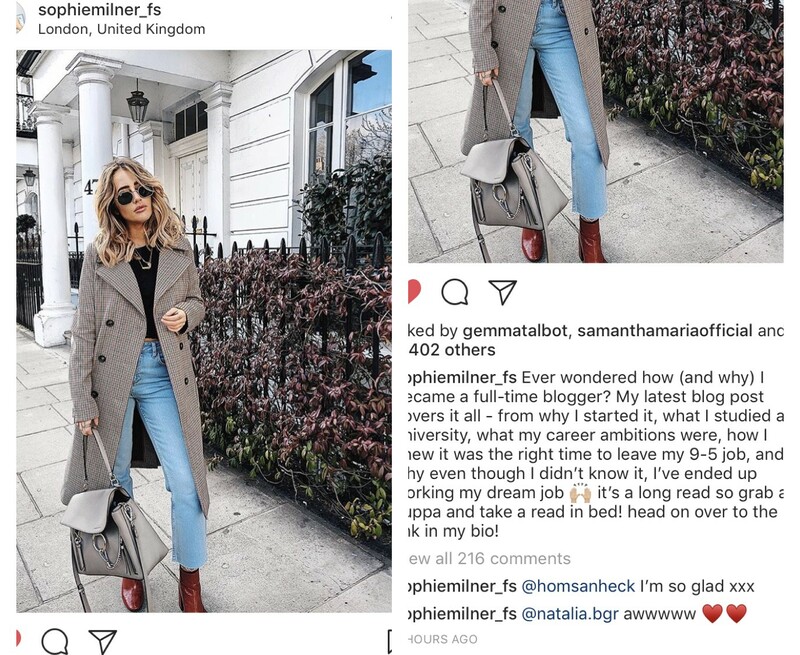 Some current Instagrammers include Sophie Milner @sophiemilner_fs, a fashion blogger with 98.1k followers. Travel blogger Jess Gibson @thetravelista has over 18k followers and specialises in luxury travel. Millennials are more becoming more savvy in terms of advertisement and don’t trust celebrity endorsements and traditional advertising methods. They’re more likely to buy into a product from someone who talks on their level and seems more ‘real’, than a celebrity on the television. With 53% of Instagram users aged between 18–29 and a further 25% aged 30–49, millennials are the biggest generation using the platform. 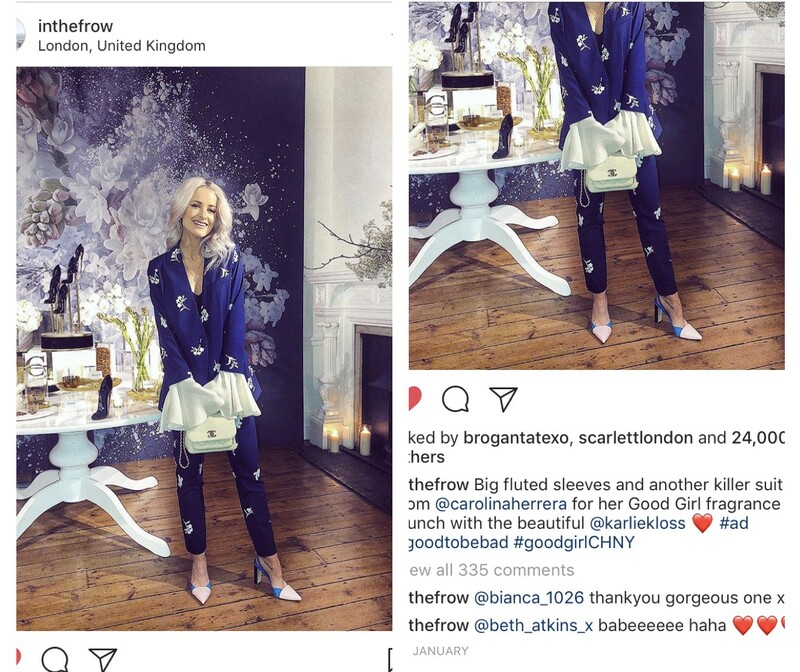 Popular blogger Victoria, known as @inthefrow has 817k followers and regularly advertises brands on her Instagram. Victoria has recently become an ambassador for L’Oreal Paris. Victoria’s success is just one example of how people are more likely to buy into a more ‘human celebrity’. 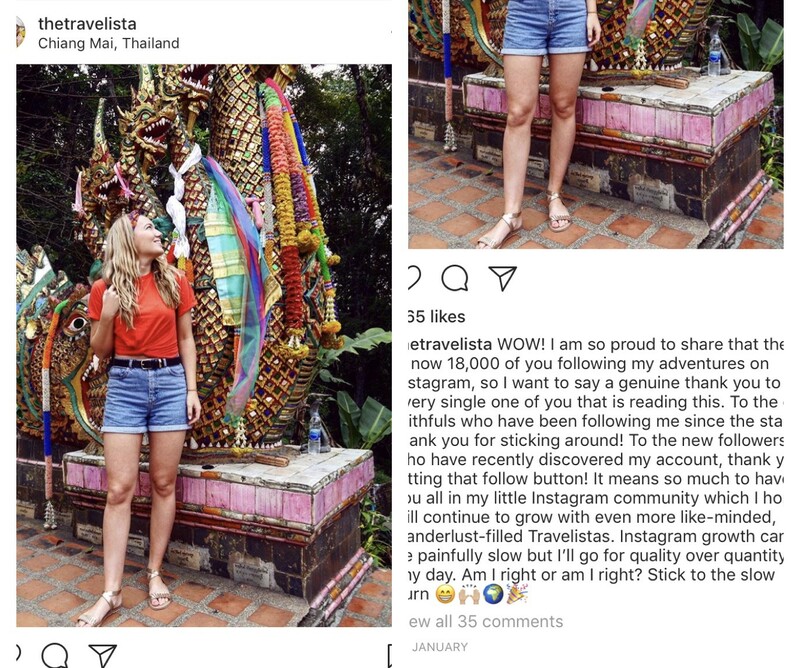 Why is advertising so successful on Instagram? It’s reported that Instagram’s per-follower engagement rate is 58 times higher than Facebook and 120 times higher than Twitter. Its users are also two and half times more likely to click on ads than any other social media platforms. User generated content (UGC) has become a massive industry in itself. Users are creating their own content which brands can use to help market and advertise their own products. 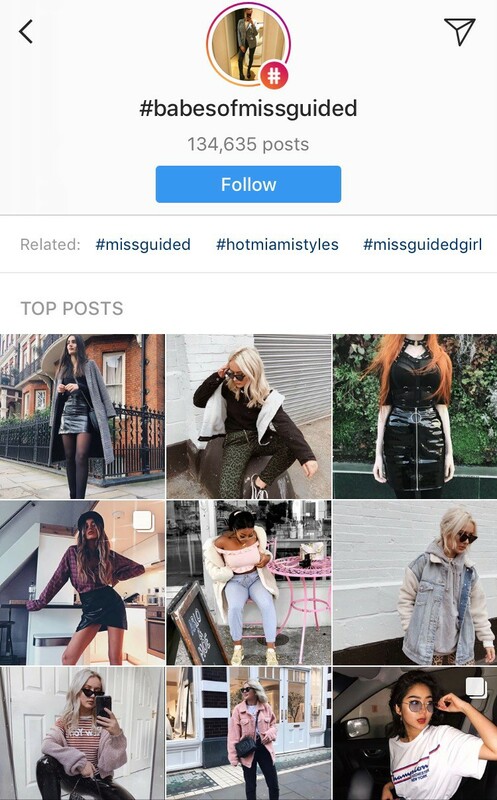 For example, clothing brand Missguided created the hashtag #BabesofMissguided which encourages customers to post their Missguided outfits on Instagram. The best images are then shared further on Missguided’s blog, social media pages and website. Boom! Free advertising. Hashtags are a powerful tool for brands and users. 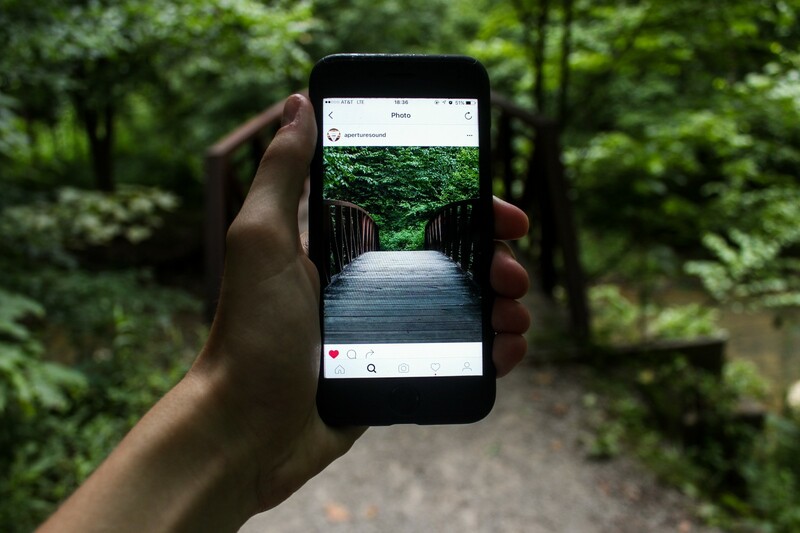 Brands create UGC and users can grow their own social media following. Sadly, Instagram isn’t perfect. Some Instagram users, especially celebrities are guilty of heavy advertising. Love Island’s Jess and Dom caused controversy in 2017 with their constant, not so subtle advertising of teeth whitening and tummy tea products claiming each one ‘they couldn’t live without’. Growing users on Instagram has become a competitive market, it’s not just making sure your images are pretty and sit nicely together in a theme. Users have to be consistent and engage regularly to grow their following. Some smaller Instagram accounts have caused controversy with their methods of attracting followers. Some accounts will buy followers, whilst others use bots to follow a number of accounts, let them follow them back and then unfollow them. It takes the fun out of Instagram and turns it into a business. Instagram has also caused controversy with its pressures on body image. Whilst it’s been done for years in traditional media outlets, people often heavily edit their photos or stand in certain positions to make themselves look slimmer. Many have argued that this encourages negative body outlook. People looking to get into any type of social media/marketing/creative jobs can use Instagram as a tool for selling themselves. It’s no secret that employers look at potential employees social media accounts. Having a professional looking Instagram, with decent photos, is just one more way to sell yourself to a future employer. Whilst Instagram has its faults, I think its a little gem of an app. I probably spend far too long on the app, but I would say it’s actually improved my own photography skills. It’s also great for finding your next holiday location, or finding out what’s going on in your local town. I think for now Instagram is here to stay. Click here to download Instagram. You can follow me on Instagram here, Steller here and Twitter here.